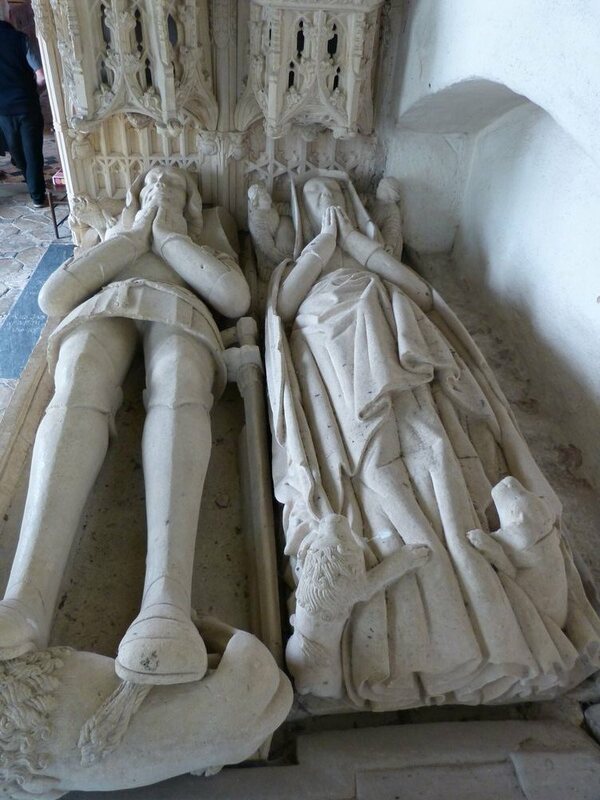 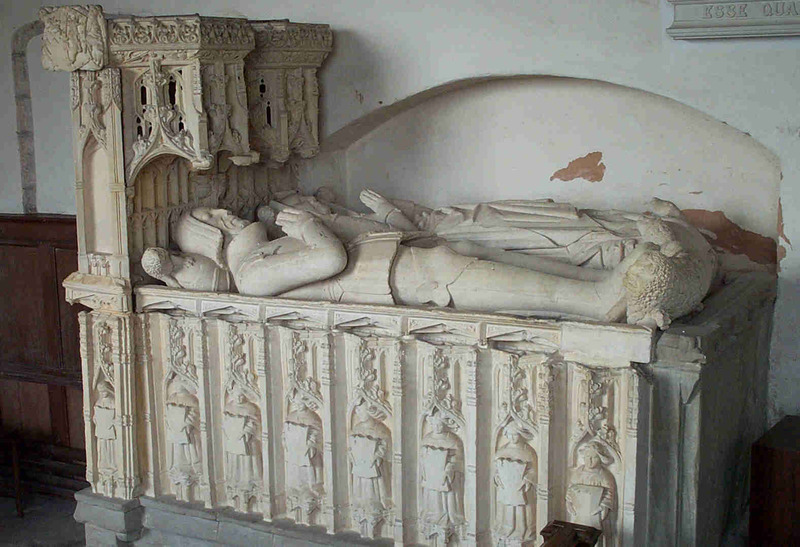 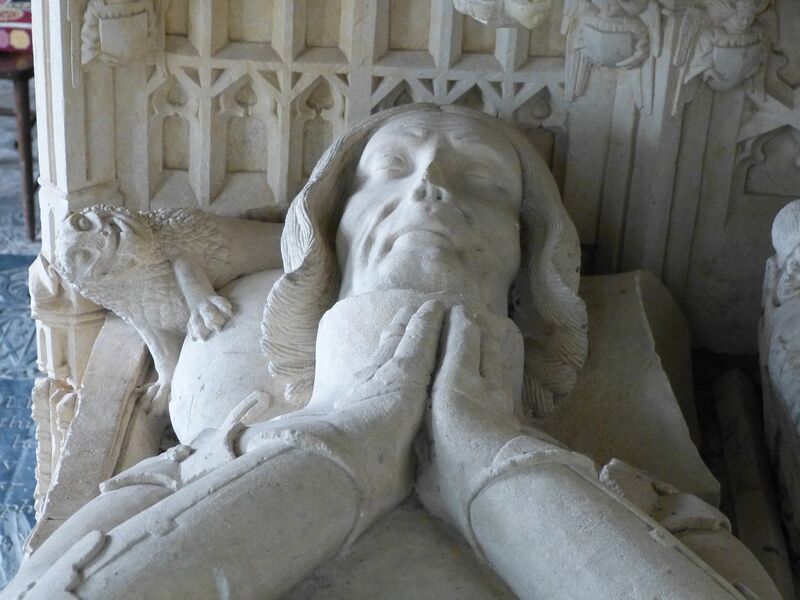 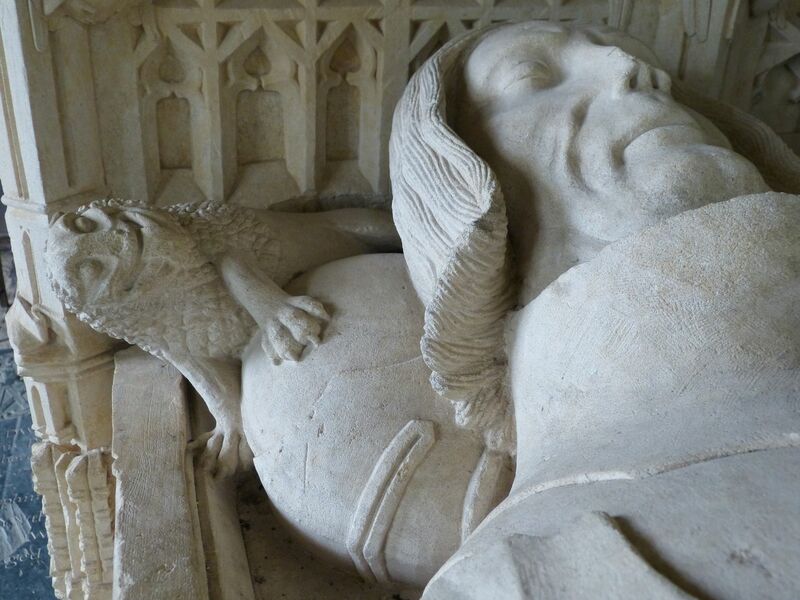 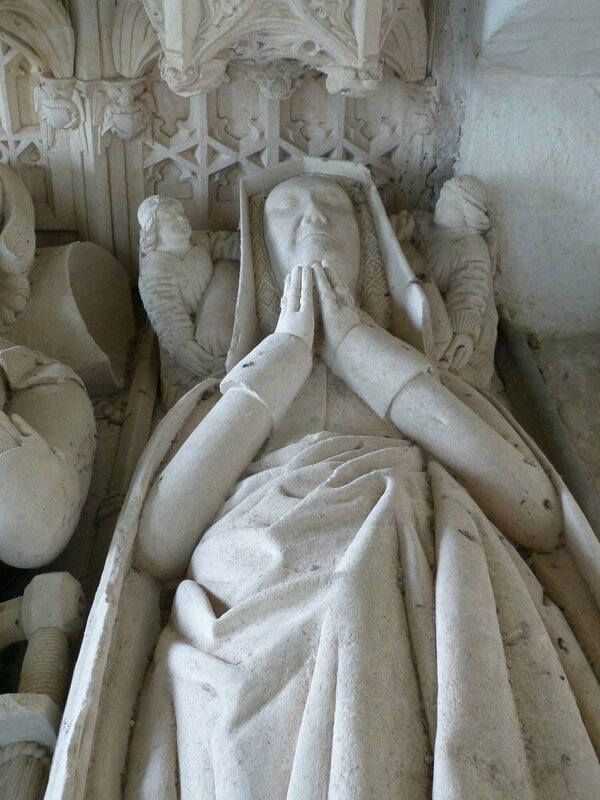 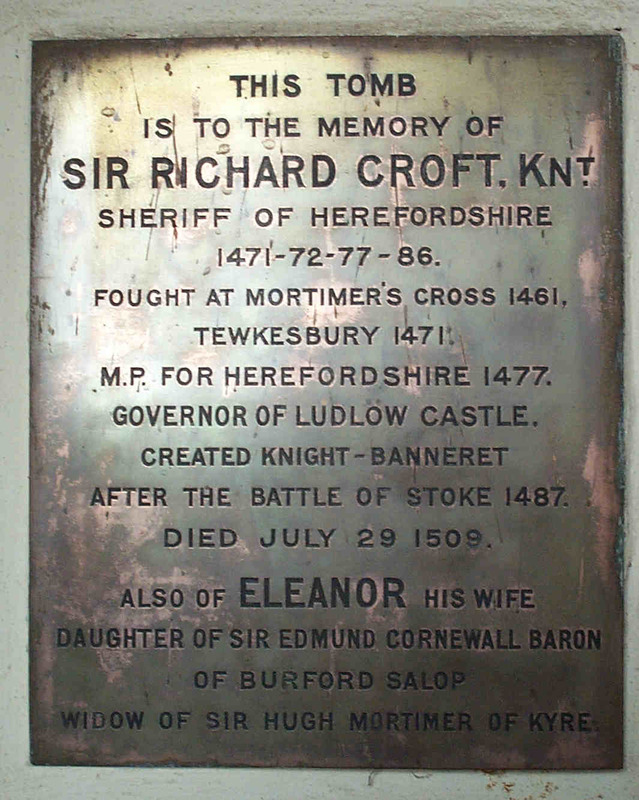 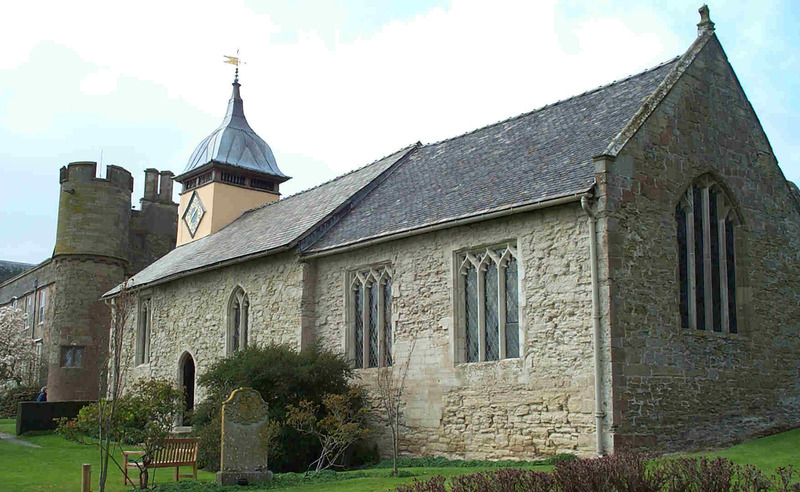 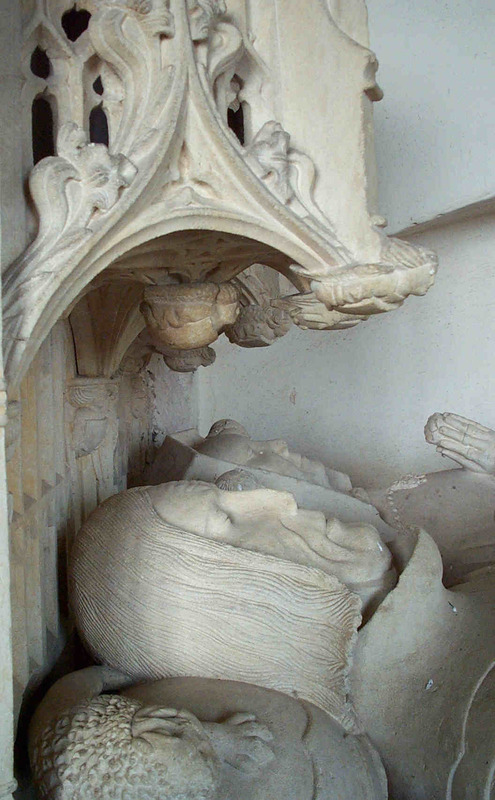 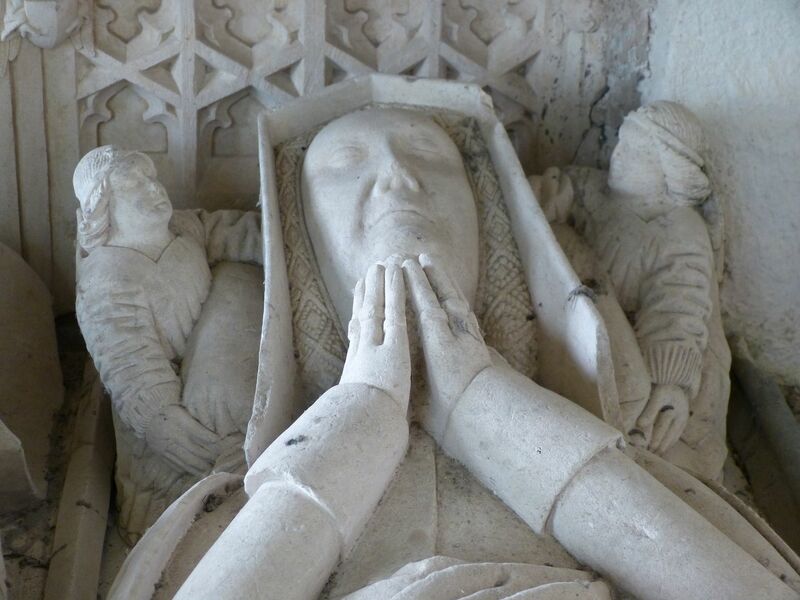 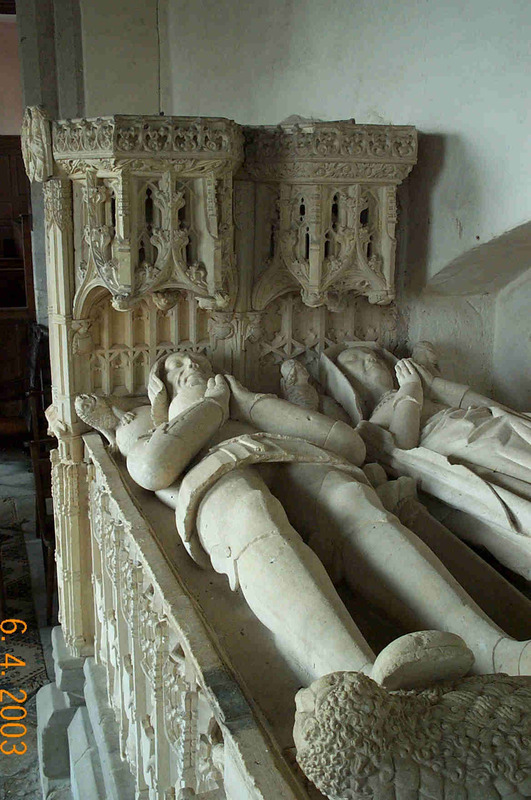 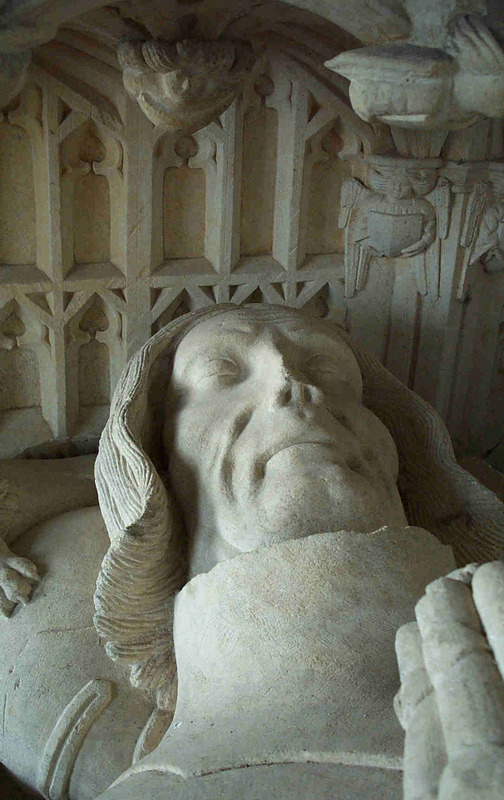 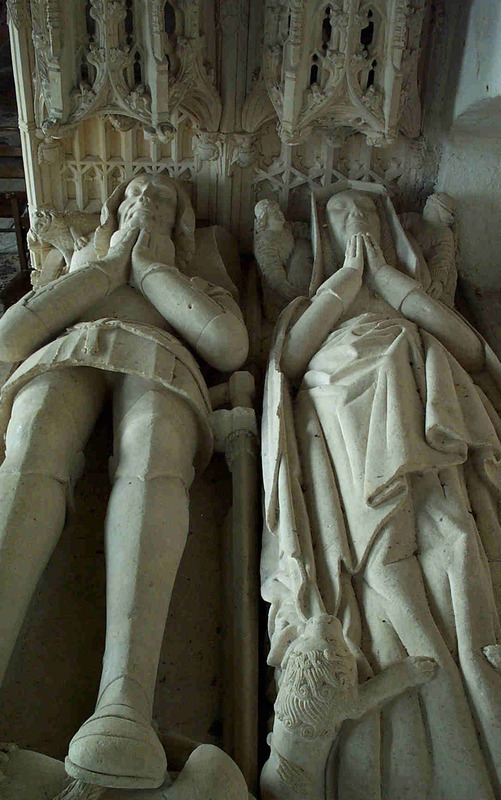 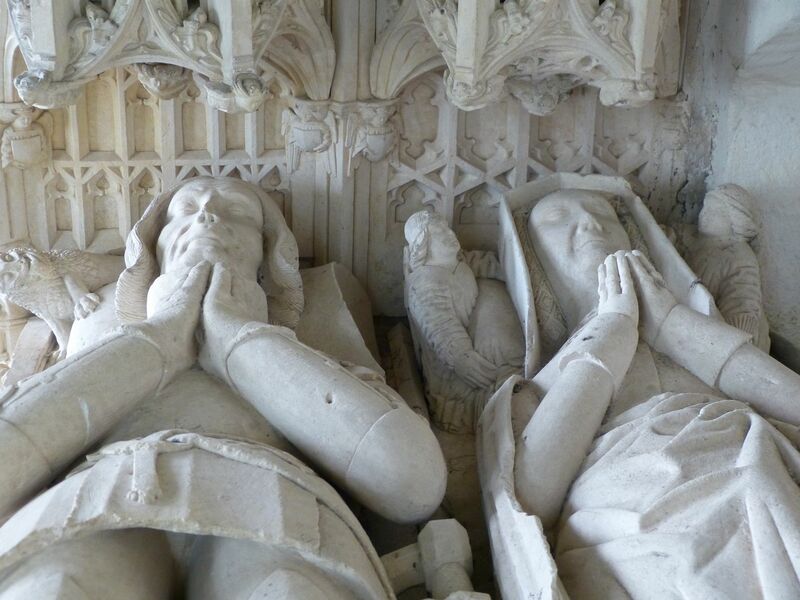 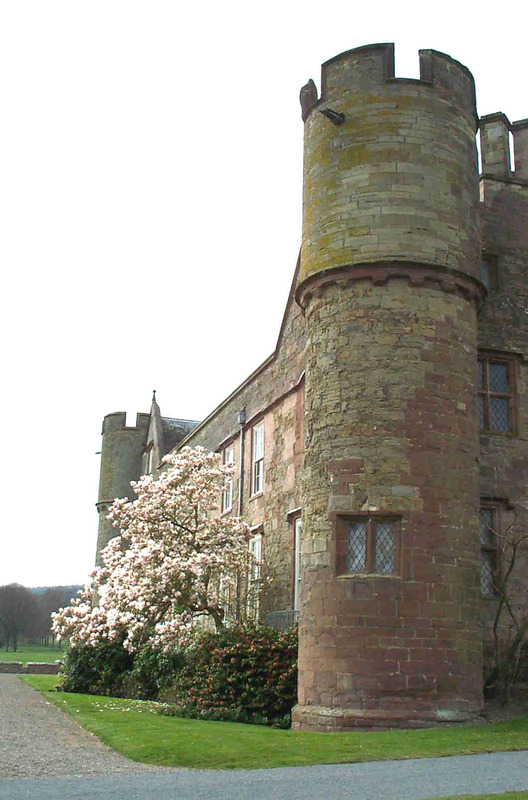 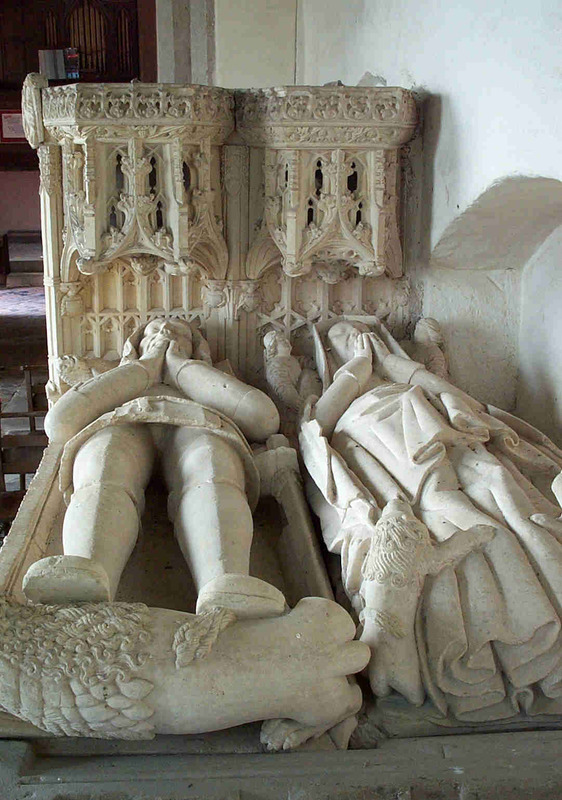 Tomb of Sir Richard Croft and his wife Eleanor. 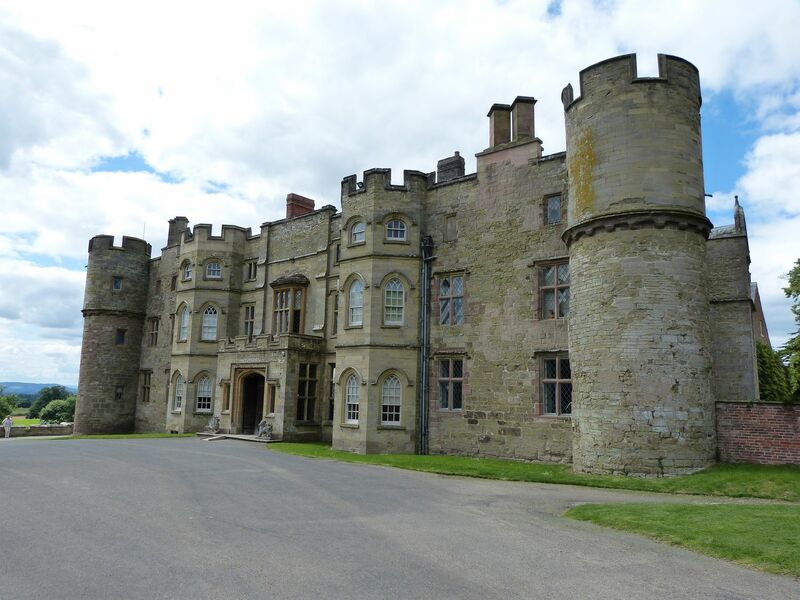 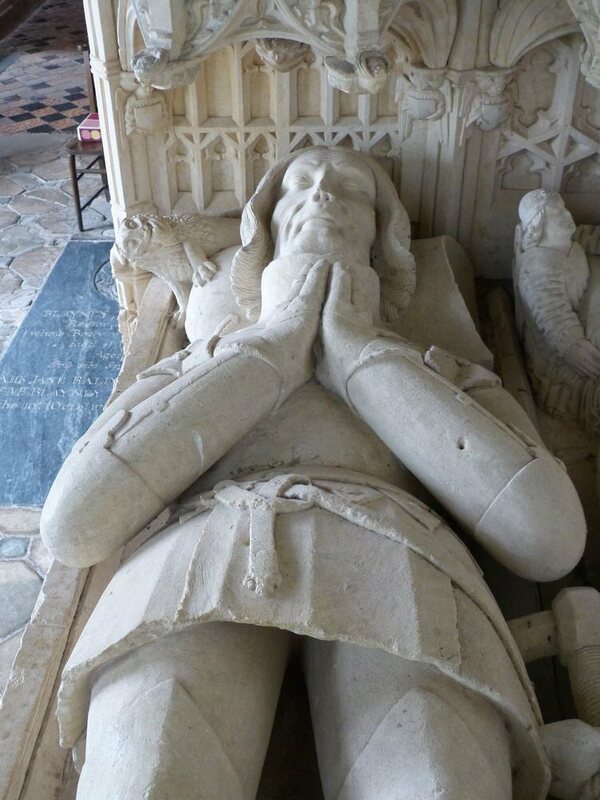 Sir Richard is in armour with the Croft lion at his feet and a jousting helmet under his head. 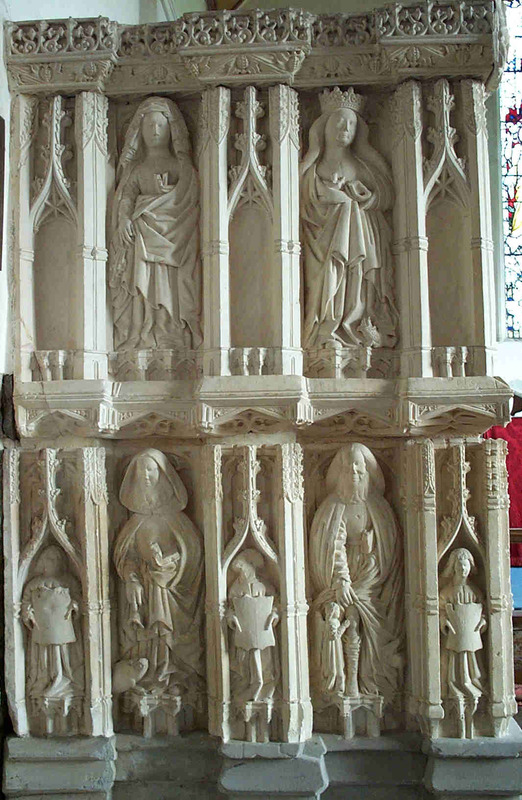 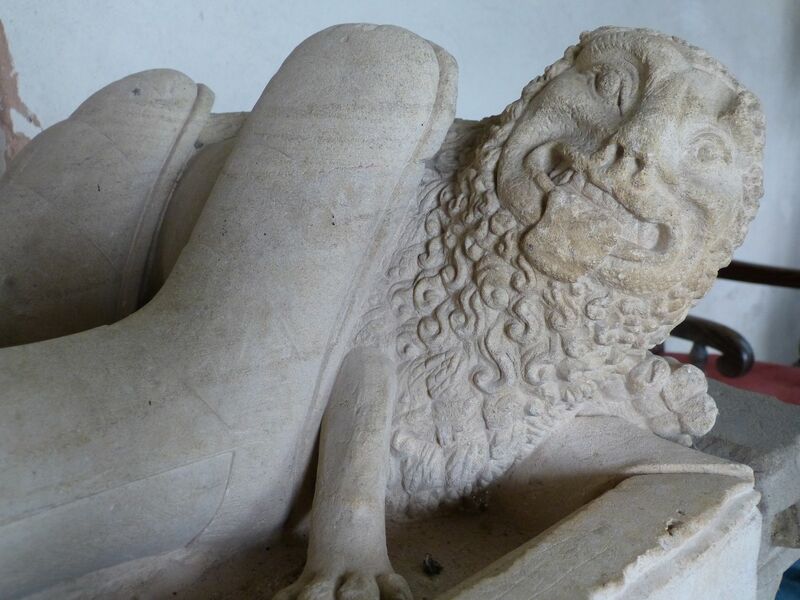 The saints on the end of the tomb: from clockwise top left: St Sitha, St Margaret, St Roche and St Anthony with his pig. 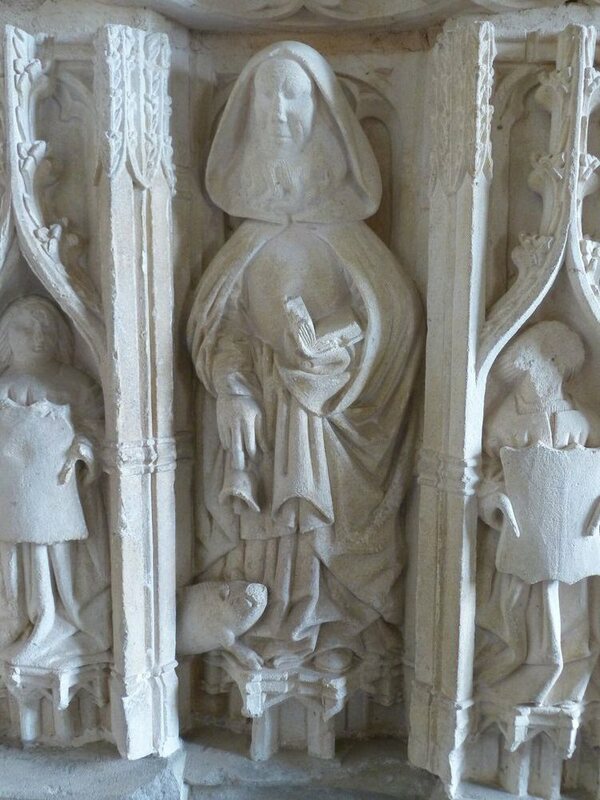 St Anthony with his pig.